I know it's not a real cake, but when I saw this post on Martha Stewart's watermelon cake, I thought it was too cute and knew that I had to make it! Just recently, my hubby brought home a watermelon when he went shopping for dinner ingredients, and that night I carved my watermelon cake. 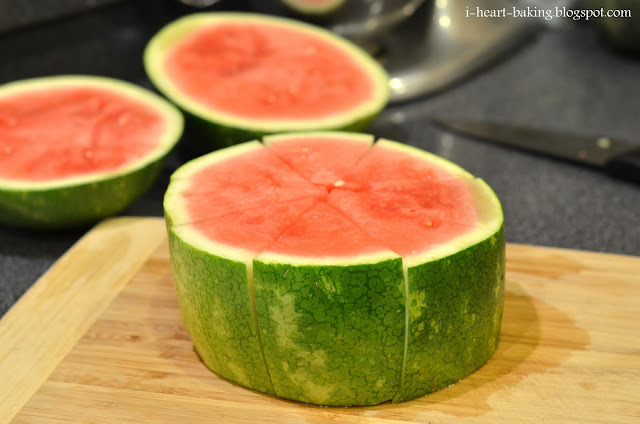 The method is to cut the watermelon into thirds, with the middle section being the cake. Then cut the round section into slices, just as you would slice a round cake. 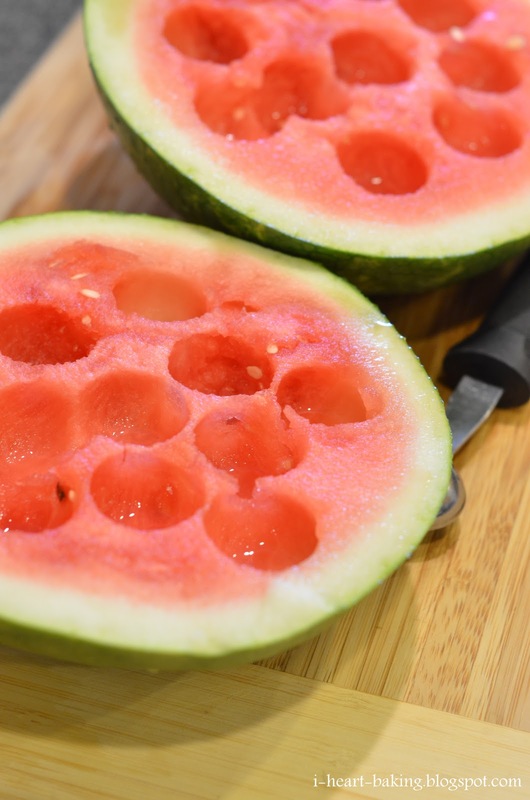 Finally using a melon baller, cut round balls out of the flesh at the ends of the watermelon, to decorate the top of the "cake". 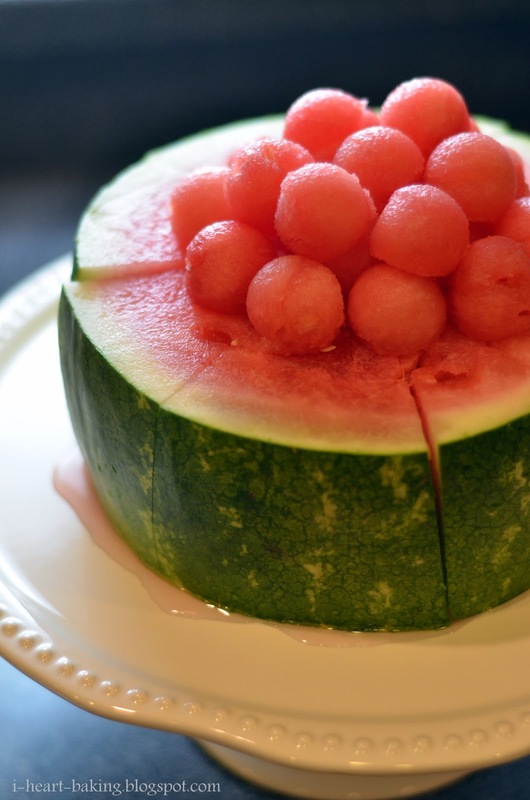 To serve, just place a slice on a plate and top with a few of the melon balls. 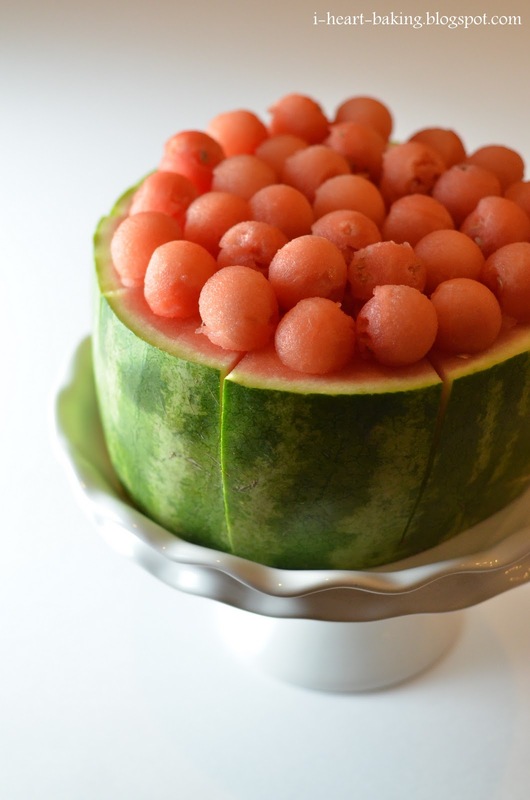 It was so easy and such a cute way to serve watermelon, and the kids loved it too! 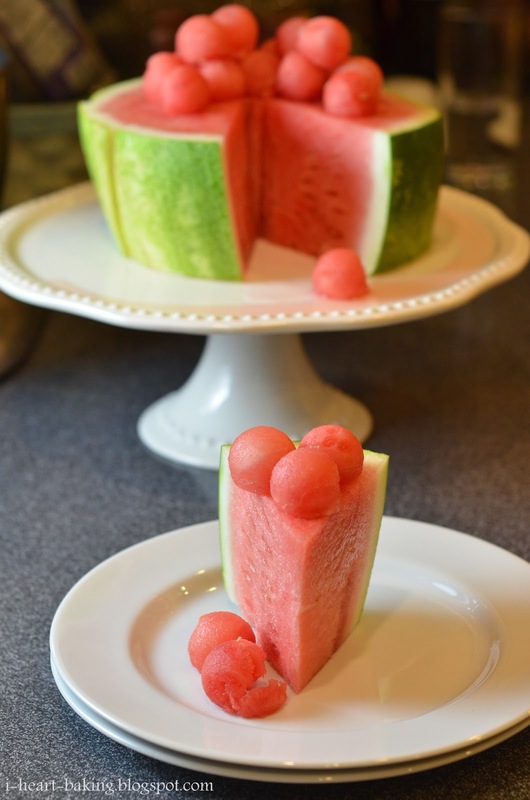 This watermelon cake will look great on any party table! Thanks for sharing the wonderful idea. Love this idea! I'm so gonna miss watermelon now that fall is here. Clever and beautiful! Much better presentation than the standard sliced hunks. I saw this on TasteSpotting and thought it was a super-realistic actual cake, haha. 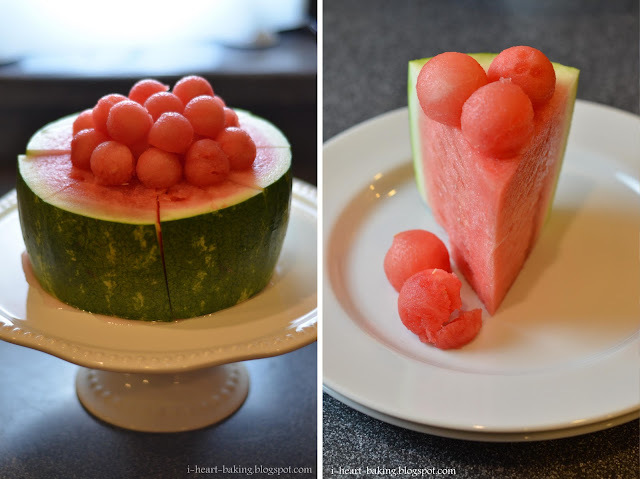 I love this watermelon cake.This is the first time I am seeing something like this. How wonderful. I would love to see the expressions on my 5 year old's face when I make it.